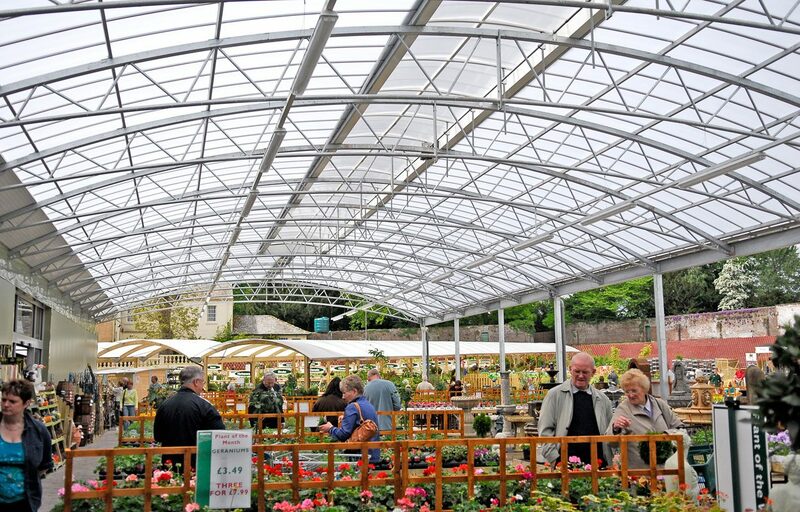 Array of timber and steel canopies and walkways for Houghton Hall Garden Centre. 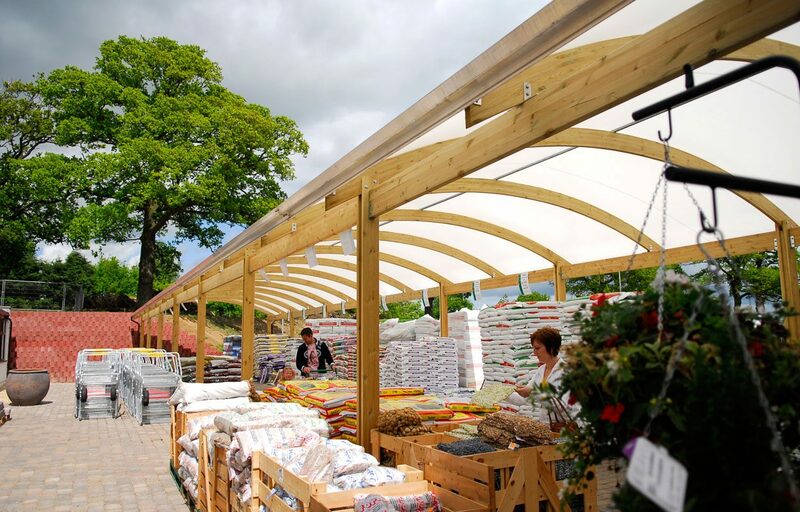 As part of a large redevelopment at Houghton Hall Garden Centre, Fordingbridge fabricated a series of timber and steel canopies and walkways to protect customers from the outside elements. 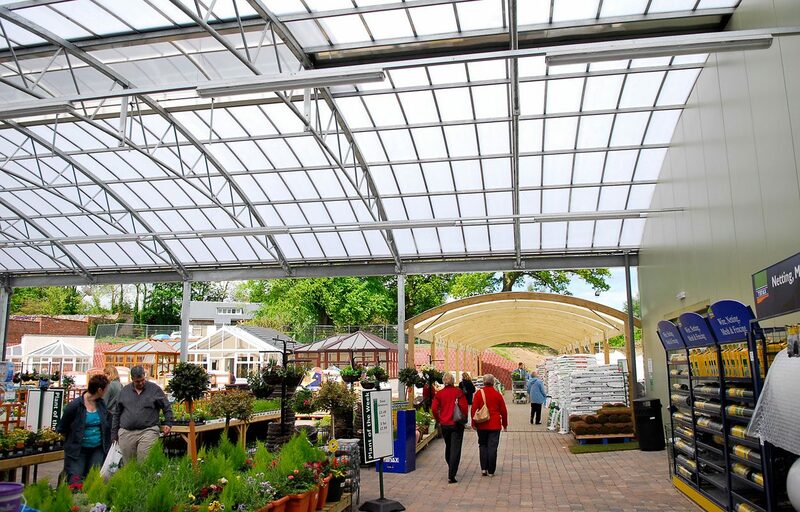 The North West’s premier garden centre structures’ were also installed to provide additional retail space for plants and new products. 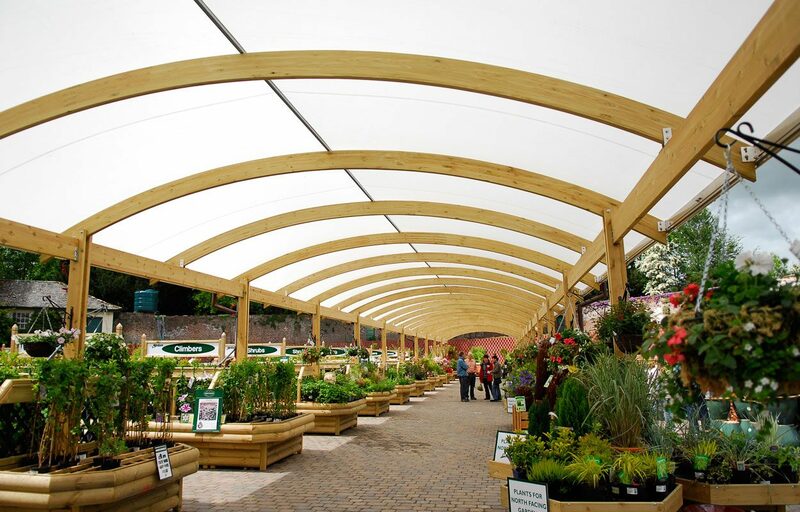 The timber structures are completed by aluminium mill finish guttering, rainwater pipes and an Opal 60 fabric roof covering. 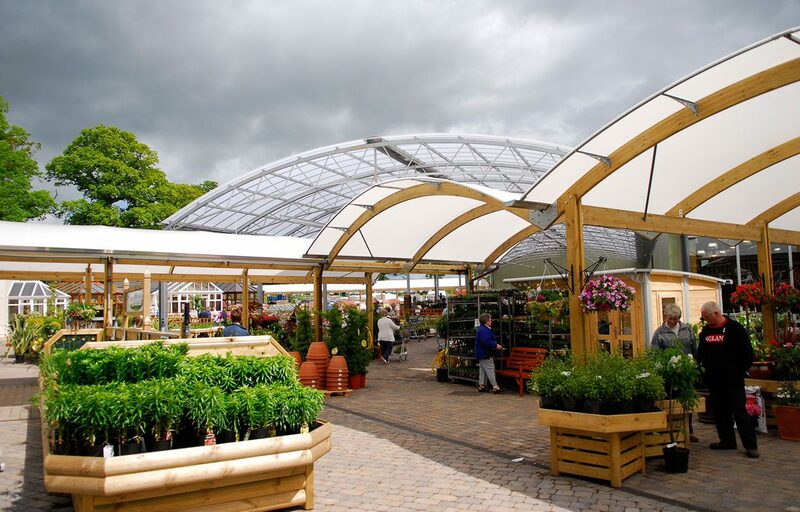 This fabric design was developed exclusively for Fordingbridge and allows high light penetration while protecting the canopy’s subjects from the sun and the rain. Roof: Fire retardant Opal 60 fabric on the timber frame and hard wearing 16mm triple walled polycarbonate on the steel.